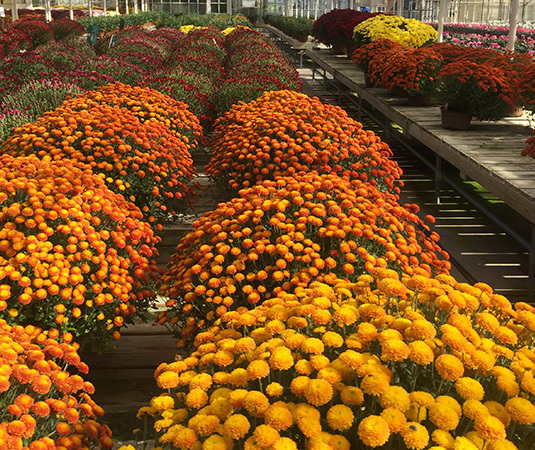 You will find our mums are rounder, bigger and brighter than you have ever seen. The best part of this crisp cool nostalgic season, is the fact that you can prep for spring at the same time! 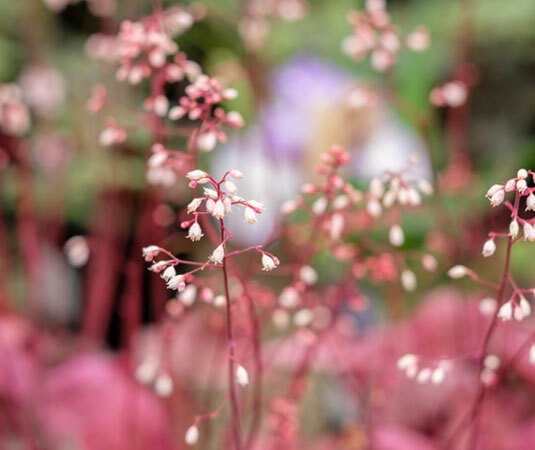 Planting bulbs, trees and shrubs at this time of year is easy and beneficial for your future garden. 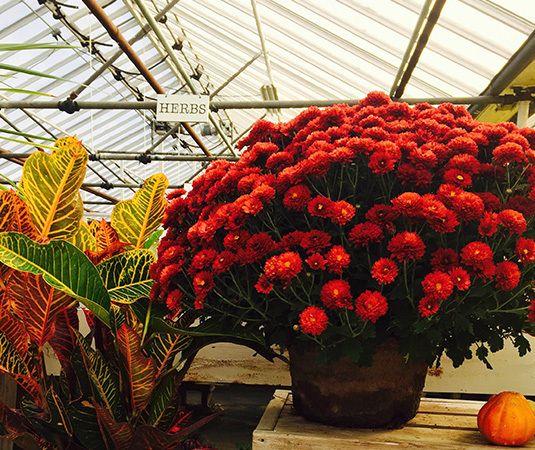 Decorations for fall, house plants and succulents to keep you cheery as the temps dip and pumpkins truly put you in the spirit of football Sundays and flannel shirts. I love the unique variety of 19th century plants, I love the calico cat that sleeps in the beds! My favorite nursery! Been patronizing them for over 30 years. Always got healthy bedding plants and other products. Great Christmas trees also - nice and fresh. Susan and the rest of the family are friendly and helpful. Love going there! I'm obsessed. Heaven on earth. 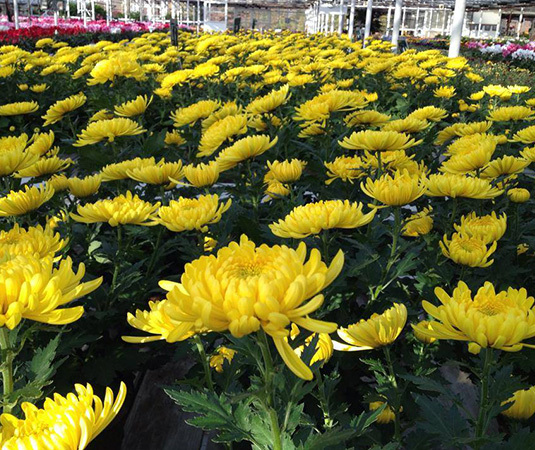 The highest quality plants and the smartest friendliest plant experts. Organized and glorious presentation. The best! My favorite source for advice and guidance on plants. And they have a great selection of quality plants, too. My sisters and I make an annual visit to A J Rahn at Christmas time. It is so beautiful I have to take pictures of all the colors and types of Poinsettias. They are so healthy and the staff will add whatever foil color you need to glamorize the clay pot. Christmas is official when I place poinsettias around my home from A J Rahn. I was introduced to A.J. Rahn and their hybrid roses in the fall of last year by a friend, (we'll call her Vicky), who was moving hers. I absolutely love the multi colored roses. Now in my landscaping endeavors I start with a hybrid and work a color scheme from there.